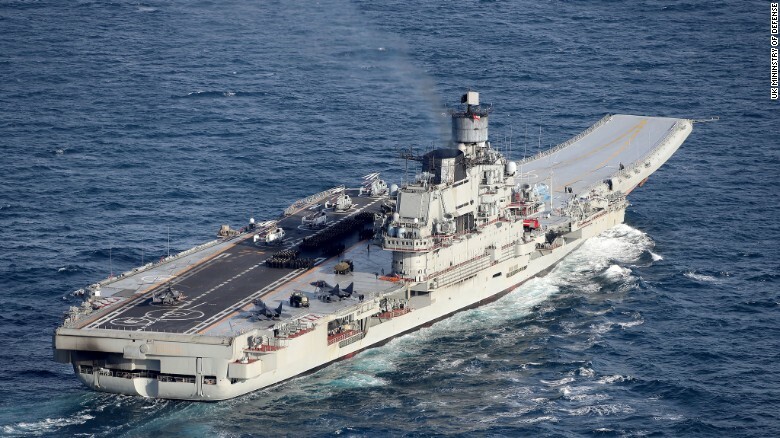 (CNN) A hole was gouged in the deck of Russia’s only aircraft carrier, the Admiral Kuznetsov, Tuesday when a crane fell on it while the vessel was undergoing repairs in the northern city of Murmansk, according to Russian state media. The dock, known as PD-50, is one of the world’s largest floating dry docks and the biggest in Russia, measuring 330 meters long (1,082 feet) and weighing more than 80,000 tons. Russian aircraft carrier, the Admiral Kuznetsov, in an undated photograph from the UK Ministry of Defense. “For now, the circumstances look like this: when the Admiral Kuznetsov was lowered, a power surge occurred from the shore, pumps shut down, and the dock sank,” Zvezdochka Shipyard spokesman Yevgeny Gladyshev told TASS. 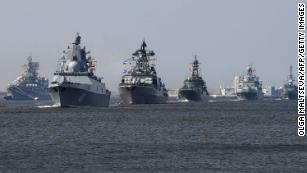 Russia’s navy parade: Big show but how much substance? Carl Schuster, a former director of operations at the US Pacific Command’s Joint Intelligence Center, told CNN the Russian navy was already in a poor state of repair and the loss of the dock wouldn’t help. “The loss of one (floating dock) may not be that serious except we don’t know the condition of the others … I don’t think it’s beyond the realms of possibility that they’re in serious trouble in terms of their ability to do work on that carrier,” he said. Russian state media said the operation to refloat the dock would be “tricky” and is likely to take at least six months.